The Twist add-on is currently in beta. Twist is an add-on that takes all your Heroku log data to create intelligent events and alerts. Make sure when an incident occurs, the right person - at the right time - is notified. After installing Twist the application should be configured to fully integrate with the add-on. For more information on the features available within Twist please visit the web site at twist.io. The Twist alert management app helps you to manage the stream of event data coming from various tools in your stack - in a single place. Create on-call groups and schedules, escalation paths, and forms of notifications - and collaborate with your team in a single social activity stream. Twist is available through the web app, and on iPhone and Android. or by visiting the Heroku Dashboard and selecting the application in question. Select Twist from the Add-ons menu. Twist can be removed via the CLI. 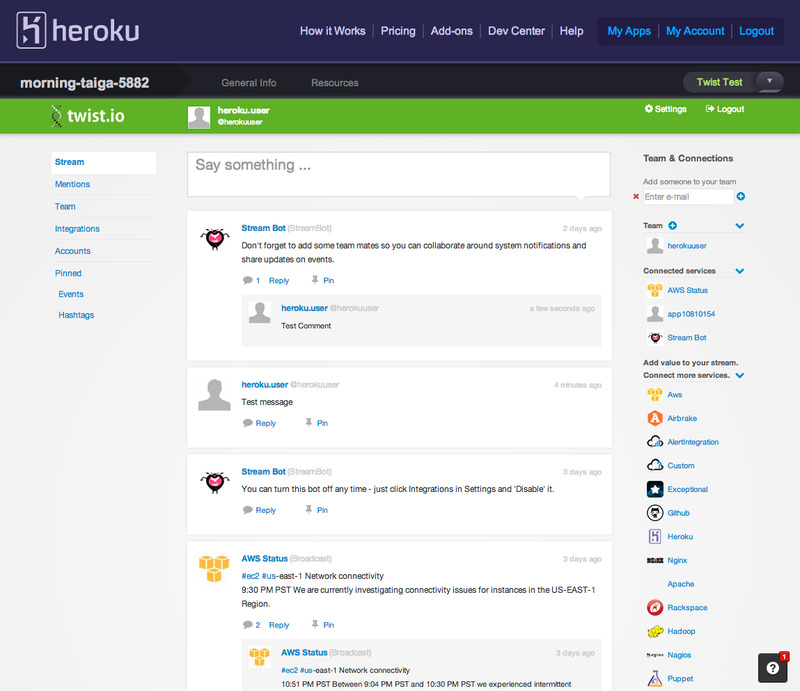 All Twist support and runtime issues should be submitted via the Heroku Support channel. 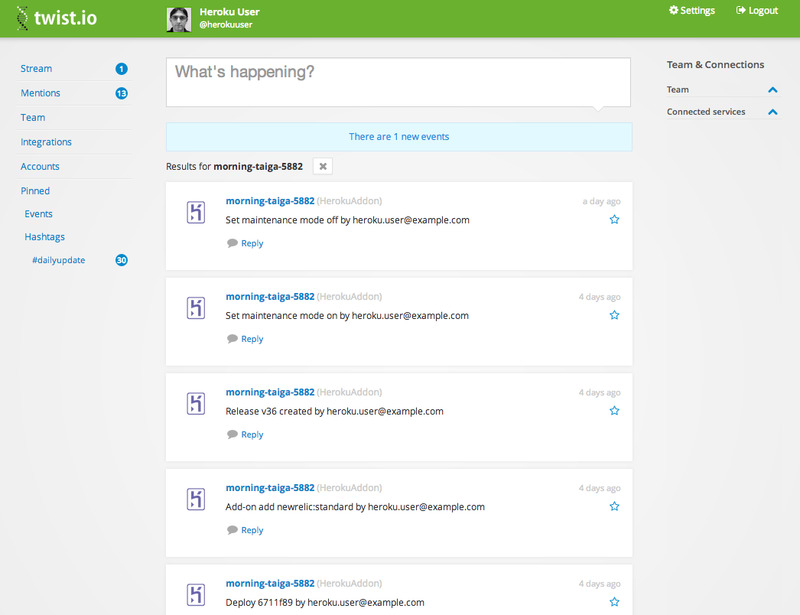 Any non-support related issues or product feedback is welcome at support@twist.io.